As per statistics provided by survey companies, property damage of around $100 million is done by termites in Australia every year. 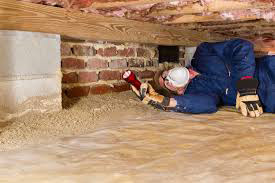 So, it is always crucial that you get a thorough combined building and pest inspection conducted for your property. We have a team of experts equipped with the latest tools to provide you with a thorough combined building and pest inspections in Gold Coast. They can guide you with future susceptibility of pest infestation so that you can be alerted with the problems of your home. All inspections are carried out in accordance with Australian Standards.